Is There Fluoride in Your Wine? Many U.S. wines contain fluoride levels that are too high to allow them to be exported to Europe and other countries that have lower fluoride limits than the United States. These wines often contain as much as six parts per million of fluoride, as compared to the Environmental Protection Agency’s maximum contaminant level for fluoride of four parts per million. Because fluoride is continuously used on crops and does not biodegrade, it builds up in the soil and is absorbed into plants’ roots, stems, leaves and the fruit. This has most notably been observed in grapes, which have long been grown using cryolite under the trade name Kryocide. It is used to fight against leaf-eating pests. Despite cryolites’ use over the past 50 years, insects have not built up a resistance to it, so it is a fundamental pesticide for many growers. The chemical company that produces Kryocide, Elf Atochem North America, Inc., released an advisory to U.S. grape growers telling them not to use too much cryolite when growing grapes that were intended for export since they would not meet foreign safety standards. But the company also told these growers to keep using high amounts of cryolite on the grapes grown for domestic use since the U.S. standards for fluoride content are less strict. A 5-year study conducted on California vineyards in the San Joaquin Valley by researchers at California State University in Fresno found that “multiple applications of cryolite during the growing season significantly increase fluoride in wines.” In grapes grown using cryolite, they found fluoride levels to be between 3 to 6 parts per million and 6 to 9 parts per million, depending on the type of wine. Wines made with grapes grown without the use of cryolite have fluoride ranges from 0.1 to 1.6 parts per million. One glass of wine that has 6 parts per million of fluoride contains more fluoride than one liter of optimally fluoridated water. During the 1990s, U.S. wines that were exported to Europe were allowed to have up to 3 parts per million of fluoride. This level has since been lowered to 1 part per million. Most European countries do not fluoridate their water, so their safety standards only allow for a much lower limit of fluoride. 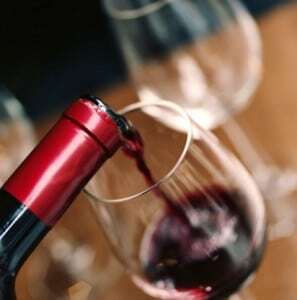 Non-organic wines from California tend to have the highest fluoride content so it is best to choose wines made with organic grapes from outside California. Because cryolite is mostly used just in California, it helps to select wines made from grapes grown in other states or outside of the United States. This may help limit your fluoride exposure. The Seattle Times ran an article in 2007 that said grapes grown in Oregon and Washington are not grown using cryolite, so they contain lower levels of fluoride. Wines made with grapes grown in countries like Spain, Italy, Germany and France are not treated with cryolite and therefore contain lower levels of fluoride.